Another Poem.. | Tell Me… Am I From This World? 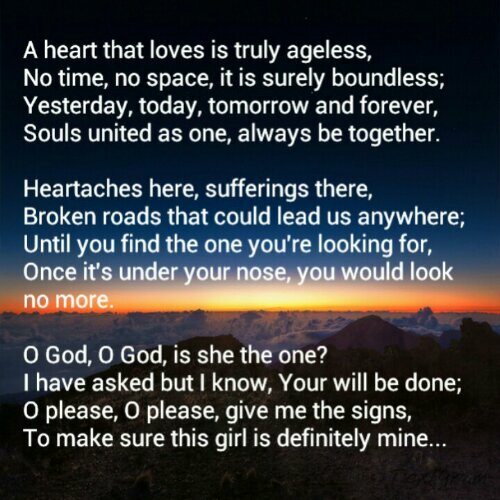 Another one of the poems I just suddenly composed as I was going home few days ago.. I used a guy’s point of view that’s why it’s a “she” at the end.. Previous PostWhat Is Love?Next PostMinute To Win It With Fathers..